Hi friends! I'm so excited to show you how I built the nightstands to go with my brother's new headboard. 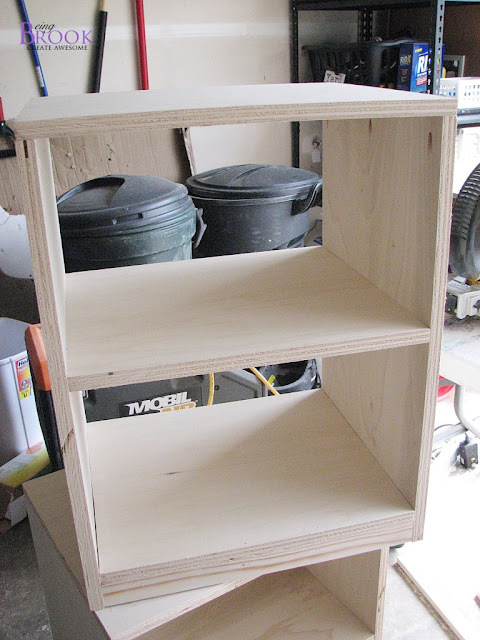 They wanted something with lots of storage since the nightstands are going to double as bookshelves. Ana was so great (as always) and wrote up some awesome plans. It still amazes me how talented Ana is! They have backs to them but my brother left them off for now since they have a new baby and have a monitor and phone to plug in as well as their lamps. When the baby is bigger they can just nail the backs on there! The nightstands are built out of plywood and I used cabinet grade since my local lumberyard had some on a special buy. 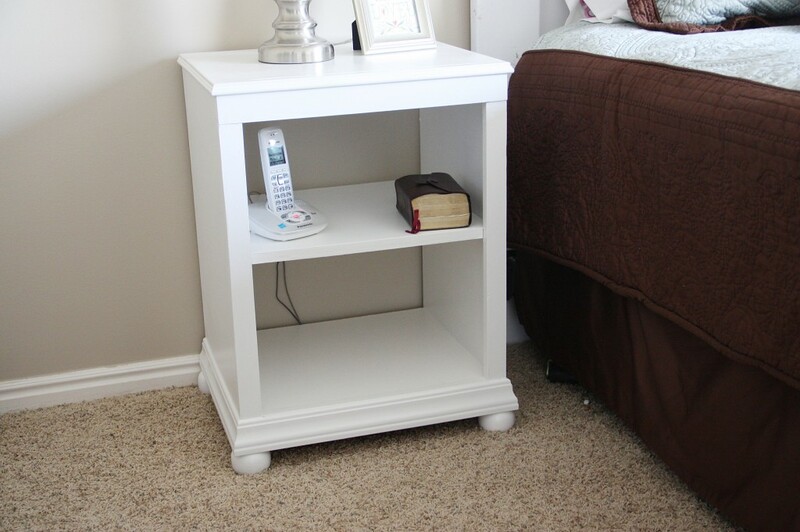 I used the kreg jig® to build the main nightstand box. 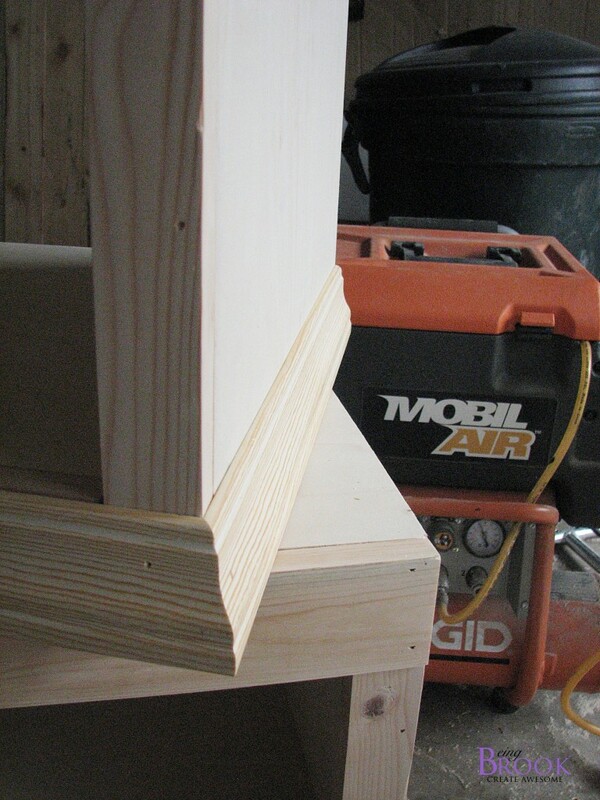 Seriously can't say enough good things about the kreg jig®, it makes building so much easier! 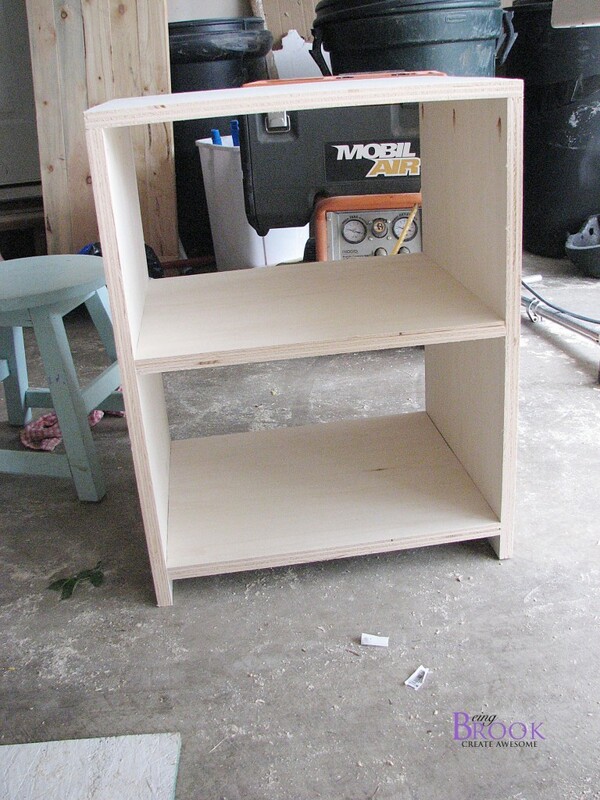 Then I used a little wood glue and the nail gun to attach the bottom support and front face frame. 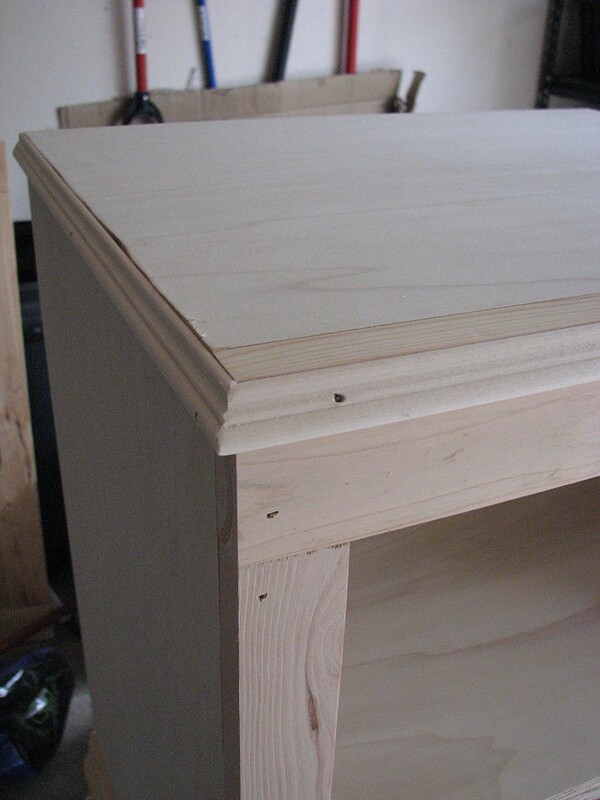 Then I attached the top molding with a finish nail gun. 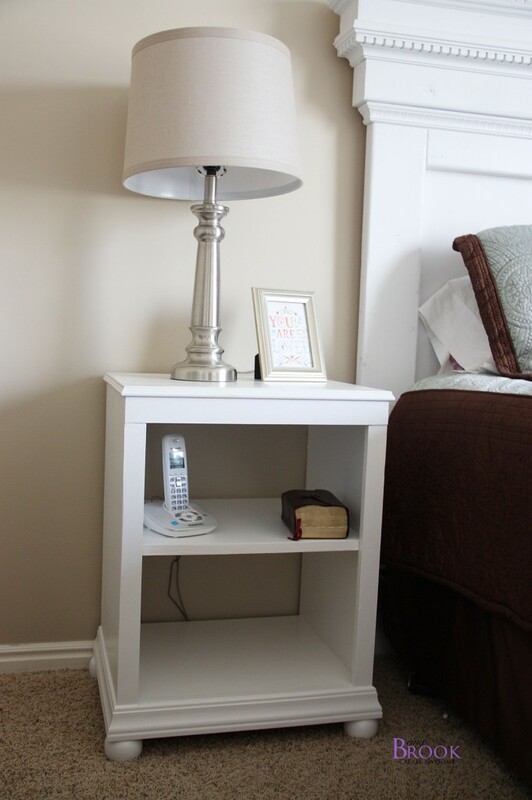 Attaching the molding to the bottom and top of the nightstand was the hardest part! Bottom molding. 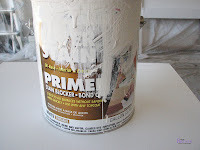 I used the same type of moulding you would for floorboards. 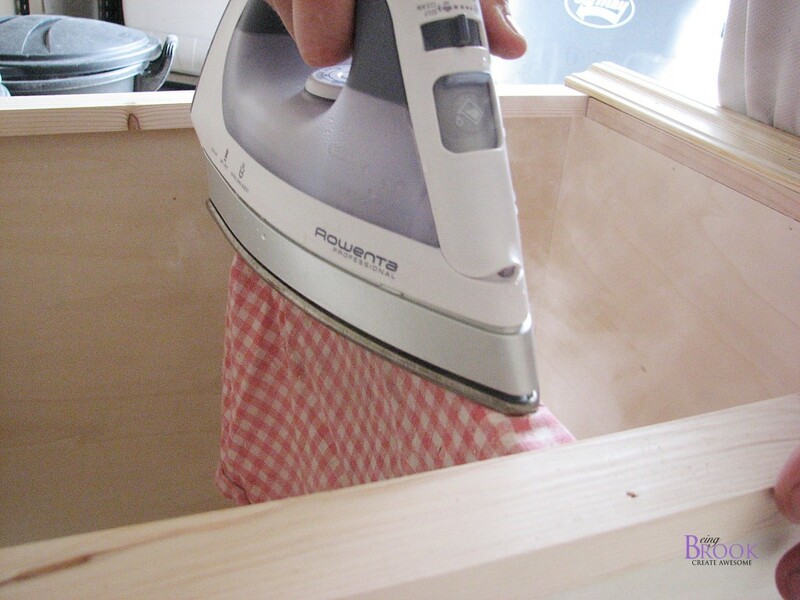 I used birch iron on edging to finish the exposed plywood edge on the front. It's really easy to attach and gives a nice finished look to the plywood. Then the bun feet got screwed on the bottoms. 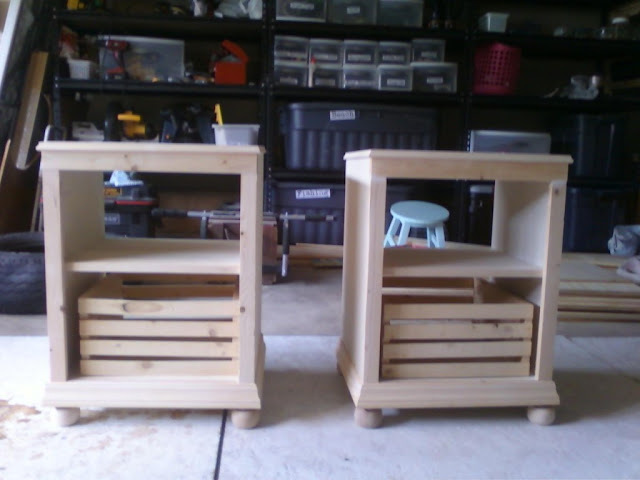 I built little crates for my the nightstands too but didn't manage to get them painted before I had to come home. I got too busy holding their cute new baby! I filled the nail holes with wood fill, sanded and then primed and painted the nightstands with a paint brush and 4 inch roller. 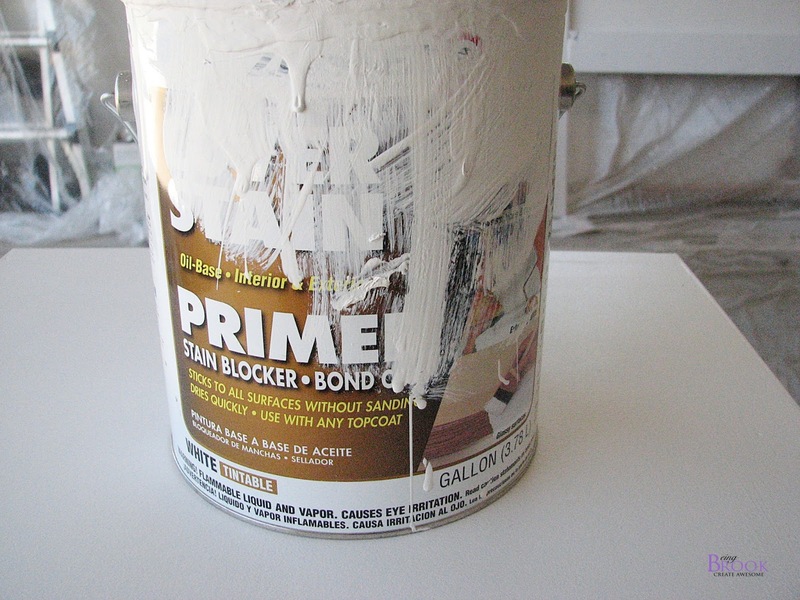 I used Zinsser cover stain primer and Valspar enamel paint in soft gloss. 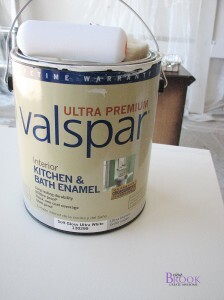 The same paint we painted the boys dresser and laundry room dressers. They turned out so cute! 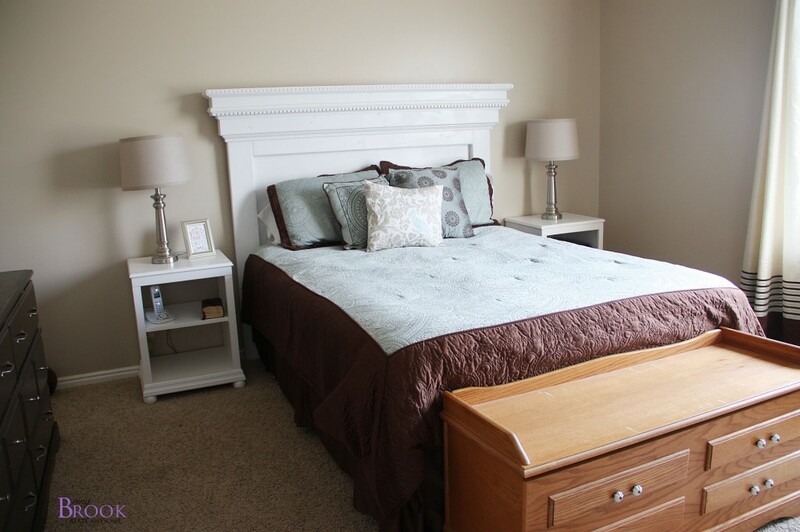 I think the moulding on the nightstands really makes them go with the headboard perfectly! Aren't I the best sister ever? Friday I'll show you what I did to my nieces bedrooms! Girls rooms are my favorite to decorate.